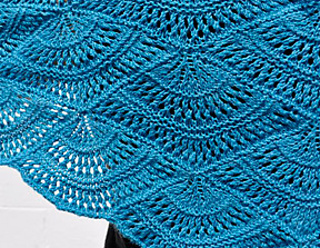 This shawl features fan-shaped modules with eyelets. 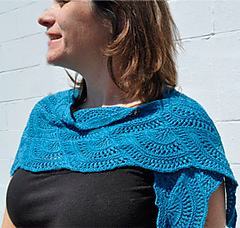 It can be worn as a shawl or triangular scarf. Panda Silk has excellent drape and is silky soft to wear. Note for gauge: Each module should measure ~6” wide x 3½“ high.